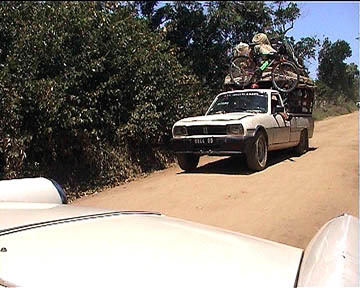 more about the way to Antalaha / Maroantsetra . . . 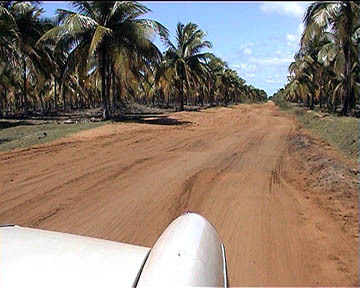 There are coconut plantations along the road to Antalaha. 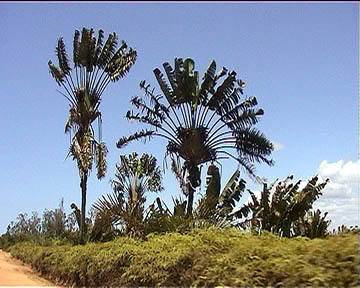 Ravenala madagascariensis palm or Traveller's Tree on its popular name. 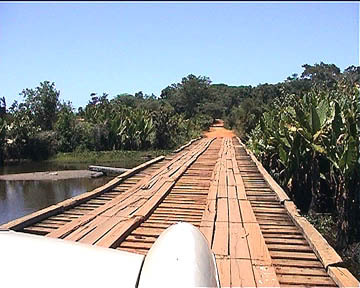 Crossing the bridge by the taxi brousse is always risky. Oncoming traffic. Always the wellknown Peugeot pickups. 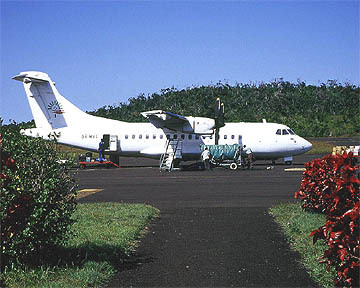 The small airport in Antalaha. 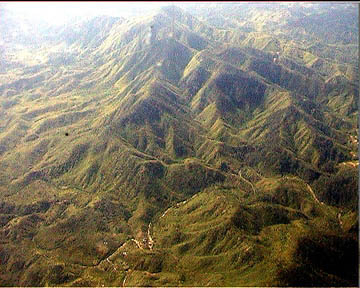 Flight to Maroantsetra above the hilly rainforest of Masoala peninsula.